We at Casino4U hope you guys at home enjoying your time playing! We have even more great news for you. Wixstars Casino has added an additional special bonus. This is great news for everyone, especially when this isn’t replacing a promotion, but adding a completely new one. We will make sure everything is updated for you on our review page with this information. This promotion is available for the Starburst slot game using the bonus code: 300STARS, Terms and conditions do apply to all promotions offered and this one is no exception. 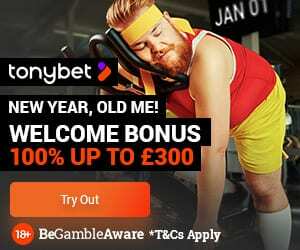 There is a minimum deposit of £20 required for this promotion, however, the wagering requirements are 35x the bonus amount. This promotion is not to replace their welcome promotion. As a result, it is a brand new promotion that you guys can take full advantage of. We love that this offers spins on starburst which is one of the industries most popular games. 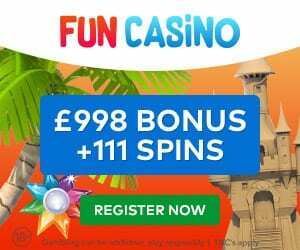 Please keep in mind that they still have the welcome bonus of 100% up to £200 + 100 extra spins. The Starburst offer is a special promotion which only requires 1 deposit of at least £20. If you have any thoughts on this or any experience with this casino, please don’t hesitate to get in contact. 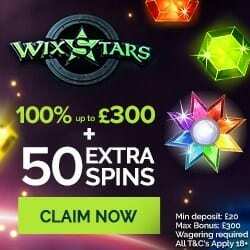 you can comment here or on the respective Wixstars Casino Review page. We love input from you guys, this gives us the best information, we can then give you guys the fairest casino review and ratings possible along with the most details information on these.